When it comes to streaming content on our televisions, there is no shortage of devices we can choose from. With things out there like Apple TV, Roku and Boxee, one might wonder why they should buy another device at all? Although it hasn’t been officially released, Google announced the device at their live event yesterday and people began ordering Chromecast before it was even over! After closer inspection, it seems that Chromecast may be a little more than meets the eye. Why all the hype? Well, for starters, it’s only $35. Apple TV still sits at $99 while Roku starts at $49 and goes up from there depending on options and Boxee is a whopping $170! Chromecast is mainly cheaper because it doesn’t have a suite of software running behind the scenes. This might be a breath of fresh air to those who tire of having to constantly learn a new user interface. It’s a simple tiny device that plugs directly into one HDMI port on your tv and allows you to stream content (currently YouTube, Netflix and Google Play Movies & TV) from just about any device. So what…the others can do this too and more, right? Well Chromecast has the added benefit of being able to display any open tab from Google Chrome, thus allowing you to basically watch anything you can load up on your browser. Can anyone say HBO Go?!! Supported Operating Systems: Android 2.3 and higher, iOS® 6 and higher, Windows® 7 and higher, Mac OS® 10.7 and higher, Chrome OS (Chromebook Pixel, additional Chromebooks coming soon). This little $35 device appears to have the ability to turn just about any tv with 1 free HDMI port into a smart tv. 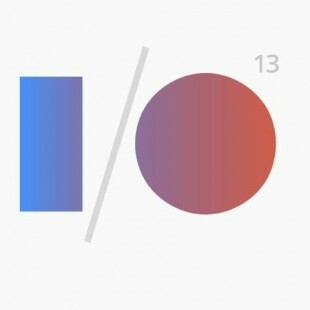 Google will soon be making available a software kit for developers that would allow them to integrate Chromecast into their apps. 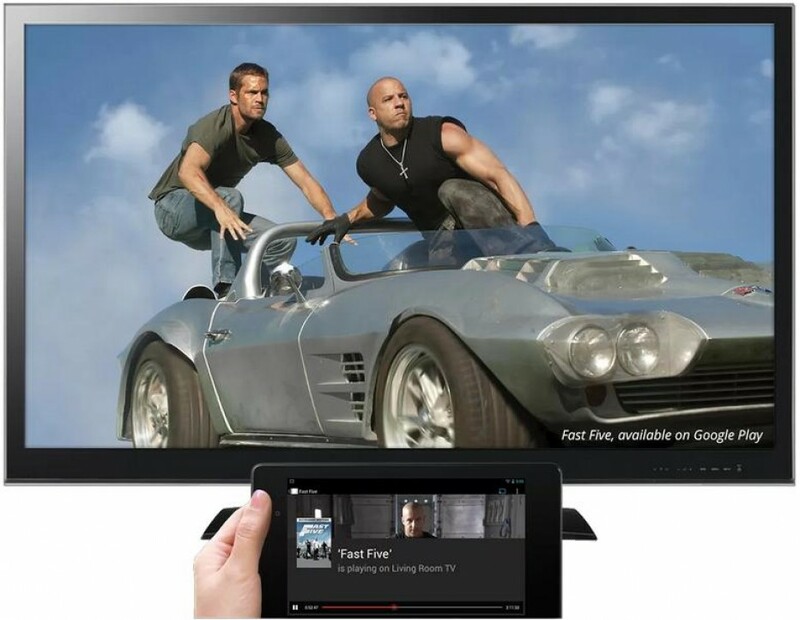 Chromecast also allows friends to come over and share their content via your tv without any additional setup. How many times has a friend come over and wanted to share a funny video they found only to attempt to show you on a tiny little cell phone screen? 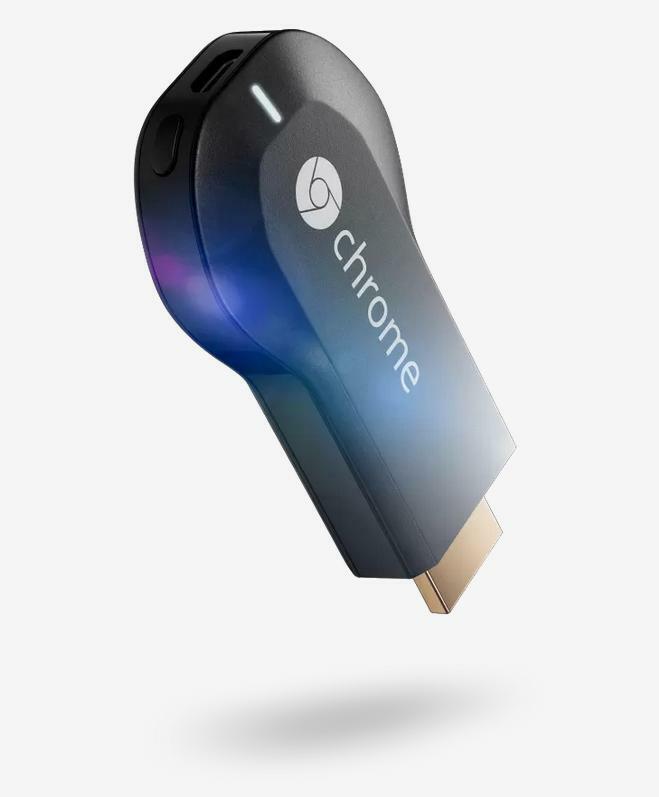 Well now they can simply access your Chromecast and play it instantly on the big screen. Like I said before, other than being able to stream Chrome tabs, there’s nothing more this device can do compared to the others and if you’re already settled into your chosen streaming device with no real need to get Chrome showing up on your TV, you can probably pass on this one. 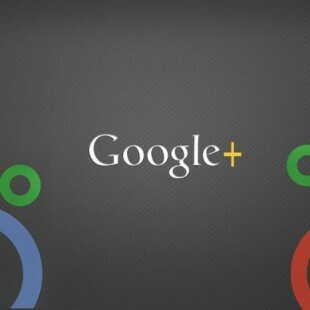 As usual with Google products, it’s the future prospects that are usually the most exciting. Once the software kit is in the developer’s hands, who knows where we can go from here. For me, Chromecast is going to be an awesome addition to my tech arsenal mainly for the Chrome streaming, but also for the advantage of being able to share it with friends and family. 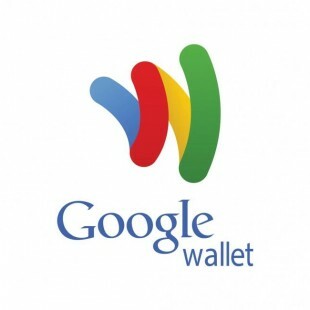 I gotta admit I’m a google fanboy – android to me is far superior to ios, and this looks freaking awesome! Yeah I ordered one today! I’m curious to see how the friends thing works…especially with iOS since most of my friends are using iPhones.